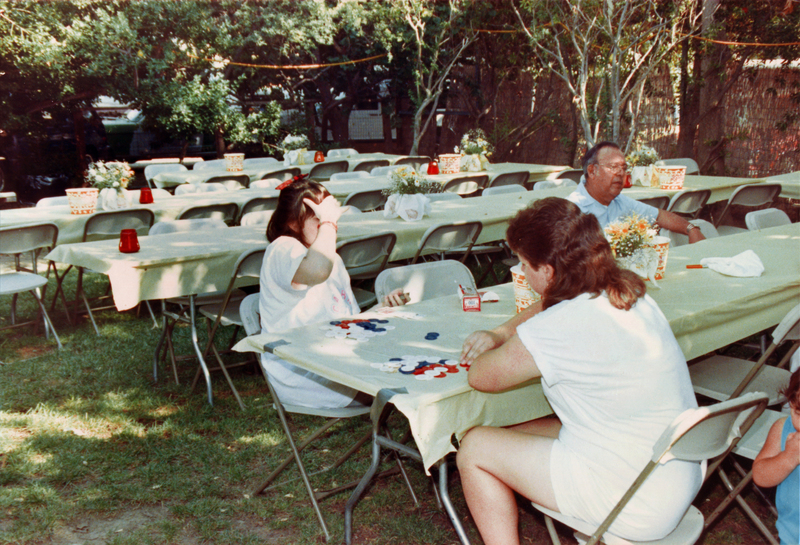 Ted Garcia Sr. at a party at the Balsz Ranch in Honby, probably late 1980s. Ted Garcia was half-brother to Ernest "Ernie" Cooke (1919-1982), who was married to Edna Louise Balsz (1922-2004). Enda's parents, Bertolo and Minnie Balsz (rhymes with "waltz"), established the roughly 10-acre ranch in the early 1930s. It was bounded by Furnivall Avenue on the west, Honby Avenue on the east, Santa Clara Street on the north and Soledad Canyon Road on the south. Both Ted and Ernie were sons of Chief Mary Cooke (Garcia) (1901-1975), and as such, their ancestry is traceable to individuals who lived at Chaguayabit (aka Tsawayung), a Tataviam Indian village at Castaic Junction, prior to European contact in 1769. 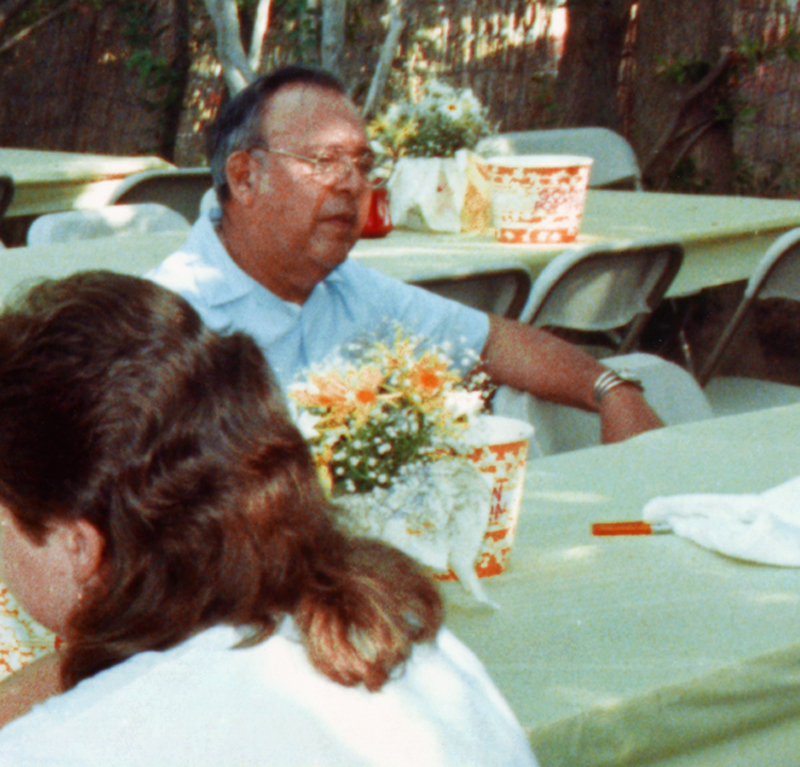 In December 2008, Ted's eldest son, Ted Garcia Jr., assumed the title and responsibility of chief from Charlie Cooke (1935-2013), to whom it had been transfered in the late 1950s from Chief Mary. LT8001: 19200 dpi jpeg from original photograph, collection of Ernestine Agnes Cooke Thomas | Online image only | Archival scan on file.